Lock in a great price for B&B Palazzo Cerami – rated 9.1 by recent guests! Room was lovely, clean and very spacious, comfortable king size bed WiFi strong. Breakfast was good plenty of choices. Staff was gracious and helpful. Easy access to city attractions, markets and good restaurants. the staff was great and super helpful. parking was nearby and reasonable. the morning breakfast was great, overall pretty healthy with multiple choices. This was a beautiful place to stay and it was a large room. The staff were really lovely and very helpful. I wanted to stay but we had to join our tour and leave. It was the best place we stayed during our trip to Sicily. The decor was so beautiful. The food wonderful. For our van driving to location was challenging, we didn't expect to carry our heavy luggage to second floor by stairs. Very clean, well furnished big room. Really lovely small place, good location in Catania! Great location, nice staff, rooms clean and comfortable. Good WiFi! Location was indeed amazing but that is the only positive about the hotel. Very central and quiet. It was great stay over there. I recommend that excellent place and fantastic people. One of our top picks in Catania.Palazzo Cerami offers luxurious rooms with a balcony and free Wi-Fi and a tablet computer, all in the historical center of Catania. 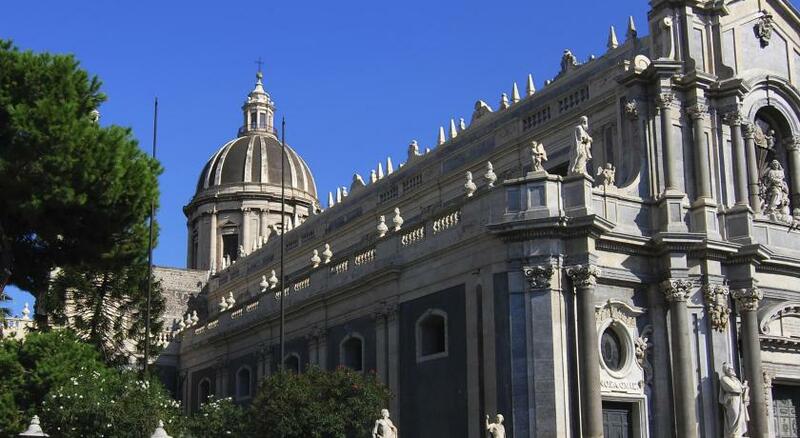 The property is 2,300 feet from Catania Cathedral and 150 feet from Villa Cerami University. With precious textiles, extra-large double beds and padded headboards, rooms include air conditioning, LCD TV and a bathroom with chromotherapy shower and hairdryer. Suites have a free mini-bar. Croissants, freshly squeezed orange juice and cakes feature on the sweet breakfast buffet. Gluten-free option can be prepared on request, and a restaurant is found 150 feet away. 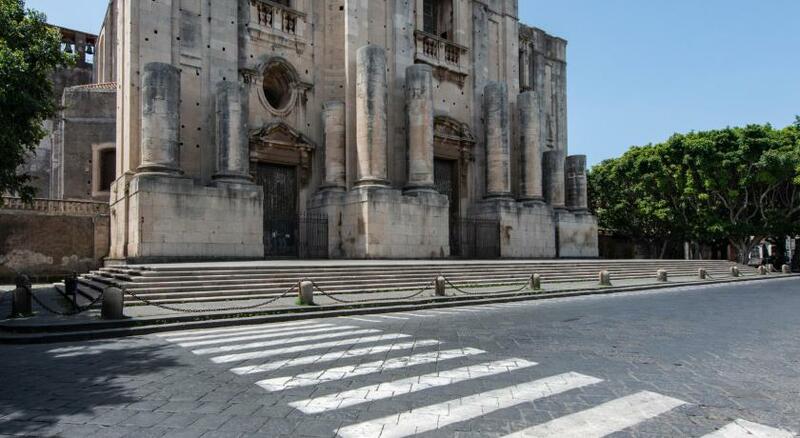 The Palazzo Cerami lies 500 feet from a public bus stop with links to Catania Airport. This boutique property is 350 feet from the Greek-Roman Amphitheater. Catania Fontanarossa Airport is 3.1 mi away. 뀐 Located in the real heart of Catania, this property has an excellent location score of 9.3! When would you like to stay at B&B Palazzo Cerami? With free Wi-Fi, a tablet computer and a balcony, this luxurious air-conditioned room has an LCD satellite TV and a bathroom with chromotheraphy shower and hairdryer. With free Wi-Fi, a tablet computer and a balcony, this luxurious air-conditioned room has an LCD TV and a bathroom with chromotheraphy shower and hairdryer. With an extra-large double bed and a sofa bed. With a free mini-bar and free Wi-Fi, this spacious and luxurious junior suite has a tablet computer, flat-screen satellite TV and a bathroom with chromotherapy shower and hairdryer. It includes an extra-large double bed and free room service on request. This air-conditioned room has a balcony, tablet computer and a mini fridge. The private bathroom has a chromotherapy shower. WiFi is free. On request, free room service is available for breakfast. 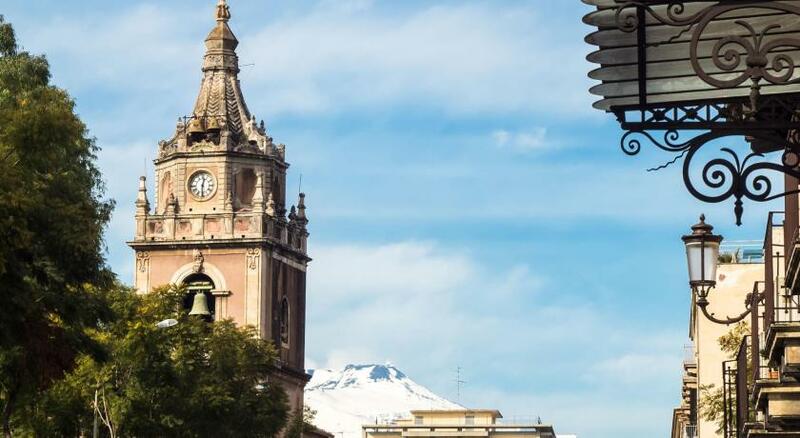 Some Baroque monuments in Catania's old town, nestled below Mount Etna, can claim a unique building material. That's not regular stone – it's lava. House Rules B&B Palazzo Cerami takes special requests – add in the next step! ATM card B&amp;B Palazzo Cerami accepts these cards and reserves the right to temporarily hold an amount prior to arrival. B&B Palazzo Cerami accepts these cards and reserves the right to temporarily hold an amount prior to arrival. If you expect to arrive after 20:00, please inform the property in advance. All requests for late arrival are subject to confirmation by the property. Please inform B&B Palazzo Cerami of your expected arrival time in advance. You can use the Special Requests box when booking, or contact the property directly using the contact details in your confirmation. Breakfast was just ok and coffee wasn’t very good. When we arrived the hotel was abandoned and we received a typical automated message from the receptionist how to check in. We had to enter various codes in the doors to unlock and the real puzzle was the parking. Catania is a hard place to park so we had to find a way to arrange with the hotel. The hotel is supposed to have a parking space on charge of 16 euros per day but it took is an hour and a half to find it. The reality was that there was a tiny garage next door which I had to unlock myself by finding the garage keys after going inside the hotel on the reception to find the garage keys. My rented suv could barely fit in there in the narrow street. Funny thing is that while driving around the hotel while trying to solve that entire puzzle I had to call and message the "receptionist" being charged roaming charges and her reaction was simply unprofessional. No English, poor instructions and she was shutting down the phone irritated, After almost 2 hours I figured all that out by myself. Room was not of course as the one I booked through booking, it was tiny and not cleaned well, the bathroom had hair and dust. Apparently they advertise another hotel in booking other than the one in reality. The property does not have the facility of an elevator. Although we were adviced that nobody would be there at our arrival, it would have been more welcoming if someone was there to greet us when we arrived. Every touch point - it was a delightful experience. Staff so friendly & helpful. Palazzo is on 3th level in the building and doesn't have a elevator, so we bring up the stair with a big luggage. Excellent breakfast, excellent location, perfect! Very relaxing atmosphere and extreamly helpful staff!! The room was big, but dark since the window was too small. The district is calm but in a morning there were some noisy work outside. The walls are too fin one can here what is happening in the corridor. The breakfast was not "very good" but just a normal one, moreover it was served very late - only from 8 am. The place for breakfast is extremely tiny, you practically touching the other guests when eating. Smiling stuff was not sincere. They also at once declined all negotiations when I had to modify the dates of my stay during my stay. Finally, the stuff was also helpless then I asked a few directions for different places in the city so they hardly useful. All in all, it is fair place to stay, nothing special, but overpriced. Reception wasn't until 8 pm as advertised. The room, the breakfast, reception staff was very friendly, all shops and sites was very close. A beautiful place with lots of wonderful Sicilian details in the building and rooms with high ceilings. The breakfast topped it of and made it a perfect stay. The staff was very helpful and we could store our luggage on the day we left when walking through Catania. The location is right near the center with a lot of nice restaurants. Parking is not easy bu possible in the direct area.